It’s been over a half a year since the out-of-season typhoon brought the final race of 2017 at Suzuka to an abrupt halt. 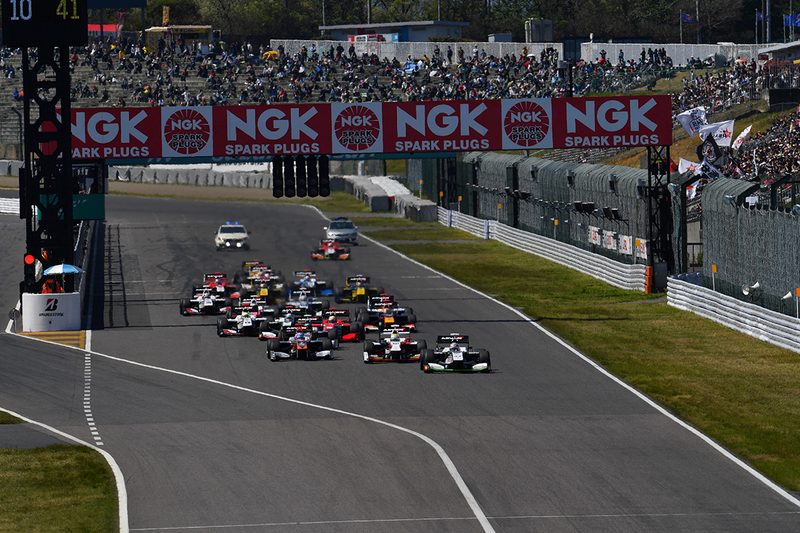 It’s now time again for action-packed Super Formula to hit the track at Suzuka. This will mark the last season that the SF14 chassis will be used–a chassis that is said to rival cornering speeds of F1. Who will win at Suzuka? We will find out soon enough, as April 21st (Sat) and 22nd (Sun) are just around the corner. 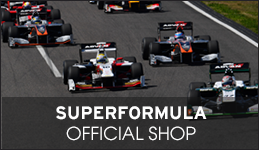 As with last season, Super Formula will feature 19 racers from 11 teams. Many of the faces have changed however. 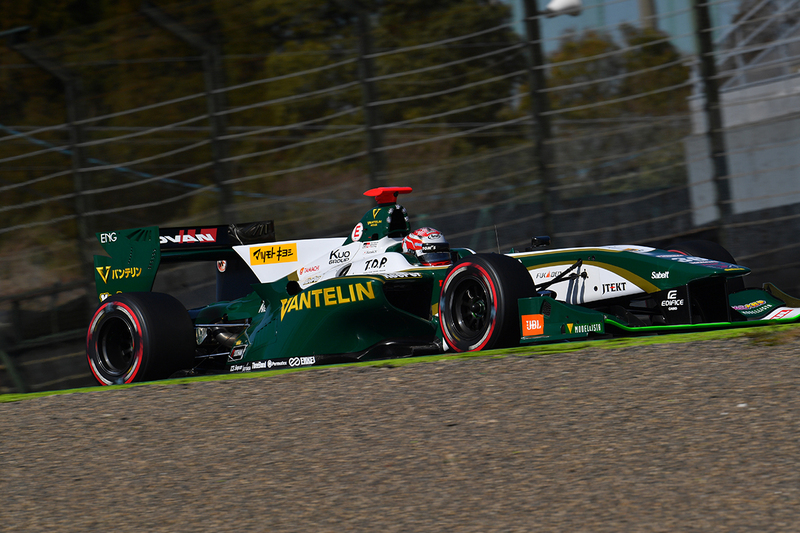 For example, Andre Lotterer, a 15-year Super Formula mainstay will not be in the line-up. 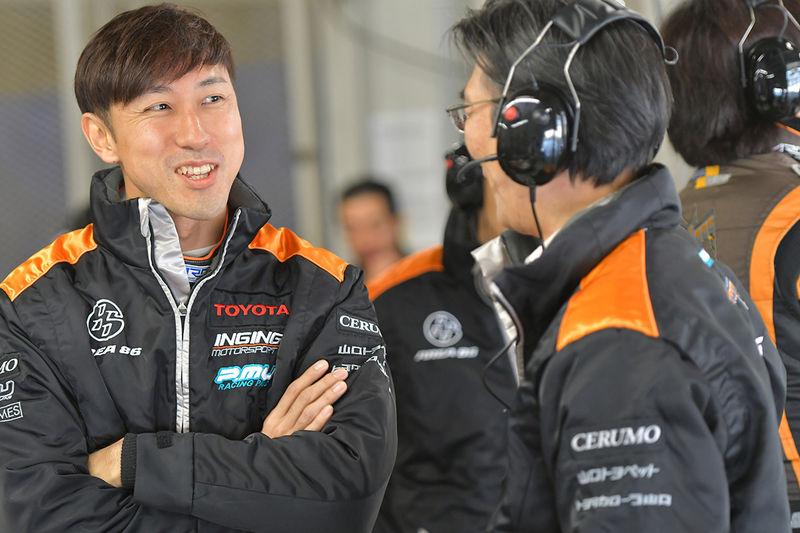 Veteran Takashi Kogure won’t be driving this season either. F1 pilot Pierre Gasly, who won 2 races last season won’t be in the grid as well. This season, Nobuharu Matsushita, who raced in FIA-F2 last year, will be in the #6 car for DOCOMO TEAM DANDELION RACING. In the #15 car for TEAM MUGEN will be Nirei Fukuzumi, who will also be racing in FIA-F2 this season. Last year’s World Series Formula V-8 3.5 Champion Pietro Fittipaldi will be driving the #7 car for UOMO SUNOCO TEAM LEMANS in 2018. Four other rookies with vast Japanese F3 experience will also be in the line-up. Coming back into the Super Formula line-up are James Rossister in the #37 car for VANTELIN TEAM TOM’S, and in the #20 car for ITOCHU ENEX TEAM IMPUL will be Ryo Hirawaka. Along with a lot of new drivers in the line-up, 2018 will feature 2-specs of tires in every race. This will probably be the biggest change for the series. Both specs of tires were used in the 2 pre-season tests at Suzuka and Fuji Speedway in March, and the drivers are saying that the soft tires lose their grip faster than the ones from last season. Which should add plenty of excitement to this season’s races! 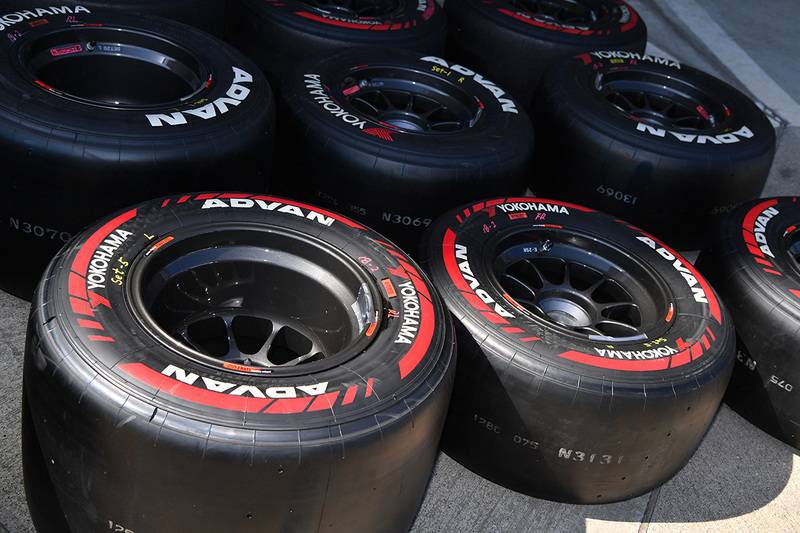 Each race 2 new sets of medium and soft tires will be provided to the teams. Two sets of used tires from off season tests can be brought in for Round 1 at Suzuka, but which spec of tires the teams select will be a focal point during race weekend. Only medium compound tires can be used in Qualifying session 1 (Q1), but either compound of tire can be used in Q2 and Q3. More than likely, if the drivers want to win a high spot on the grid, new soft tires will be used. Which translates to the probability of used soft tires being put on the cars for free practice sessions on Friday and Saturday by some of the teams, so they can set their cars up just right heading into Qualifying. The Round 1 Championship Race will be a long 300 km. 250 km has been the norm for a while, so tire degradation will be a huge factor. Both specs of tires will have to be used during the race, but how many laps the soft tires can hold up for will also be another major point to watch for–as will how long the teams will run on their medium tires. Some teams may elect to go with a 2-pit strategy for this race. In preparation for the race at Suzuka, many of the teams practiced long runs during the off-season tests. But the conditions during race weekend will differ significantly from those tests, so the teams will be paying particular attention to both outside temperatures and track temperatures during both Friday’s free practice, as well as Sunday morning’s free practice session. In a nutshell, the teams and drivers will have plenty of things to consider in a relatively short period of time to make the appropriate preparations for Sunday’s Championship Race. 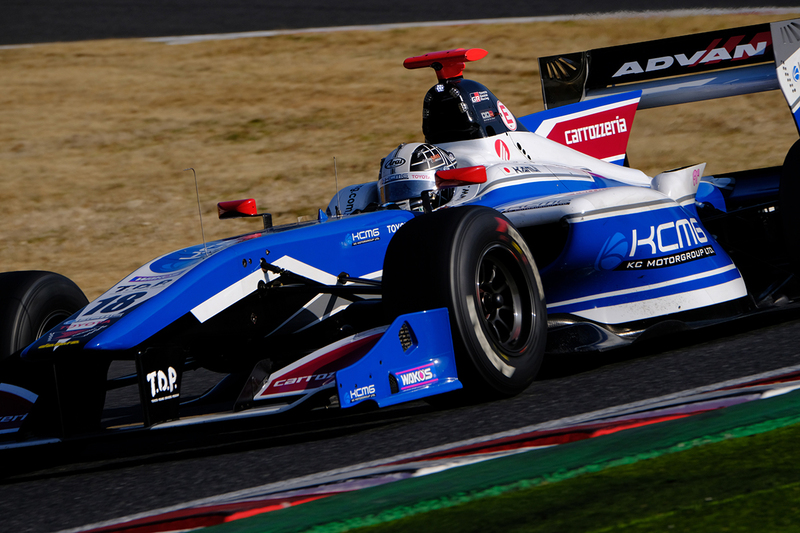 Kamui Kobayashi in car #18 for carrozzeria Team KCMG had the top time in day 1 of tests at Suzuka. Kazuki Nakajima in the #36 car for VANTELIN TEAM TOM’S was 2nd. Both of them are former F1 pilots and also currently drive in WEC. Behind them in day one of tests at Suzuka was former Super Formula Champion Yuji Kunimoto in the #2 car for P.MU/CERUMO・INGING. But in day 2 of testing, it was rookie Matsushita who had the best time, Hirakawa was 2nd, and Fukuzumi was in the 4th spot–none of them showed any problems with the Yokohama Tires at all. Not seemed to be bothered by anything that was happening around him, last year’s Super Formula Champion Hiroaki Ishiura in the #1 car for P.MU/CERUMO・INGING continued to work on gathering data during the tests. His data gathering of course included simulations of qualifying and races, alike. And at the Fuji Speedway tests, Ishiura finished the last session with the top time. Veteran drivers, rookie drivers, drivers with 2-years experience will be battling it out using 2-spec tires at a longer race distance than normal during Super Formula Round 1. There will surely be lots of great action and things to watch for throughout the entire race weekdnd at Suzuka!